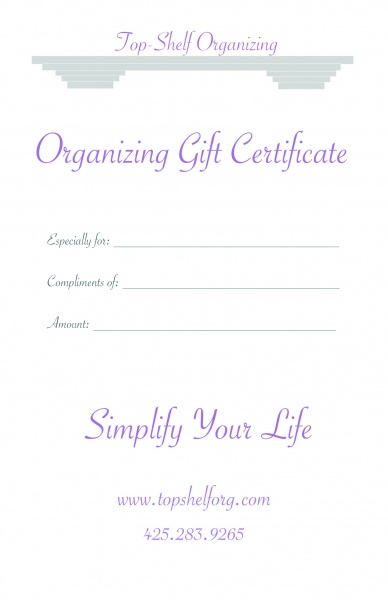 Give the gift of organization to those you care about. Elegant Top-Shelf Organizing gift certificates are available in any dollar amount, are valid for one year from date of purchase and can be mailed directly to your friend or loved one. For some, there is no greater gift! To order a gift certificate, please visit the Contact page.